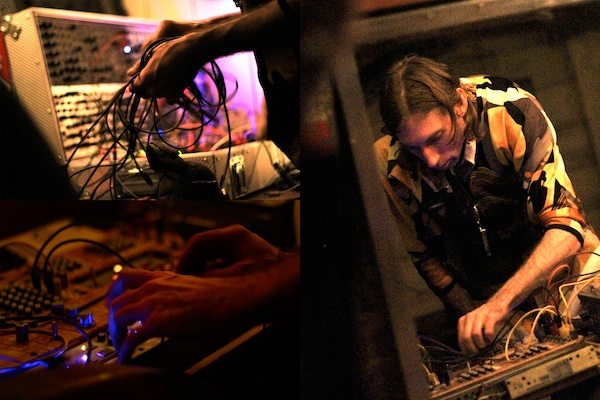 Anthony Bisset will join Franz Schuier & Lu Katavist at Basic Electricity #5 on Friday, August 31st! See the Basic Electricity blog for more on the gig and click the 'Machine' link at Anthony's site to see his reformatted modular 'with DNA from Serge, Buchla, Ken Stone & Bisset' and other live instruments. 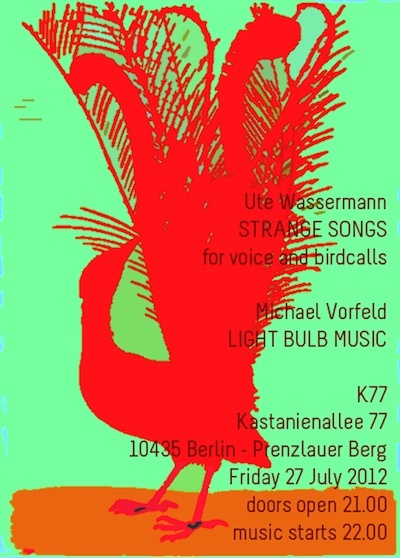 AUXXX in Berlin presents Michael Vorfeld and Ute Wassermann at the K77 Kino this Friday, 27th July. Promises to be a great concert. Full details at the AUXXX blog. A quick jam featuring two DIY shift-register-based random sequencers, Tom Whitwell's Turing Machine and my own Bitsy. 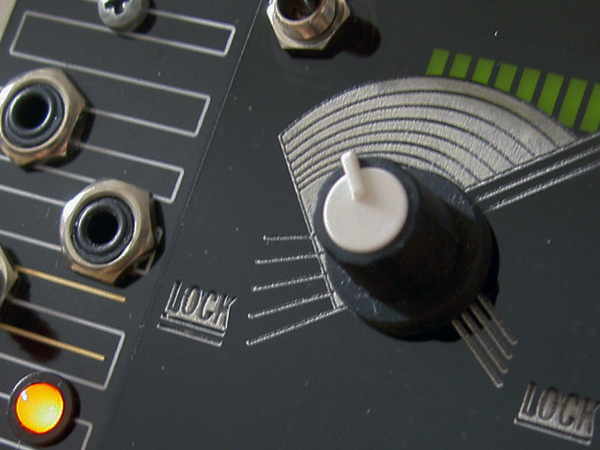 Playing with sequencers that you can't program, only influence, is great fun. As you can hear, the two make a great team! Just add a quantizer, and you're away. (Turing left, Bitsy right). Tom managed to pack a lot into his sandwich design. It's tight in places, but it does all fit. My own DIY projects have been primitive by comparison, using perf-board and flying connections for the pots and jacks. The one benefit of this method is that it's more forgiving of part placement when it's time to screw the module together. I might have to revisit some of the jacks to help them sit better. I made two minor changes to Tom's design, one out of necessity, the other for aesthetic reasons: I ordered the wrong size polyboxes, so substituted ceramic caps for C10 & C11, and I went for a green LED, rather than red. I still need to paint the legends, but don't mind the look of the sticker residue for the moment. 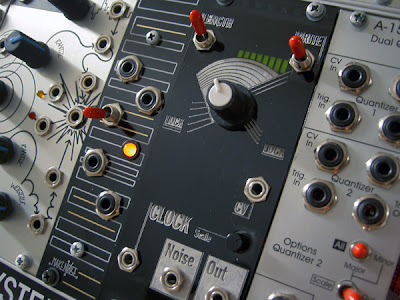 You can find extensive information on the Music Thing Random Sequencer project here, here and here. Thanks for a great instrument, Tom!